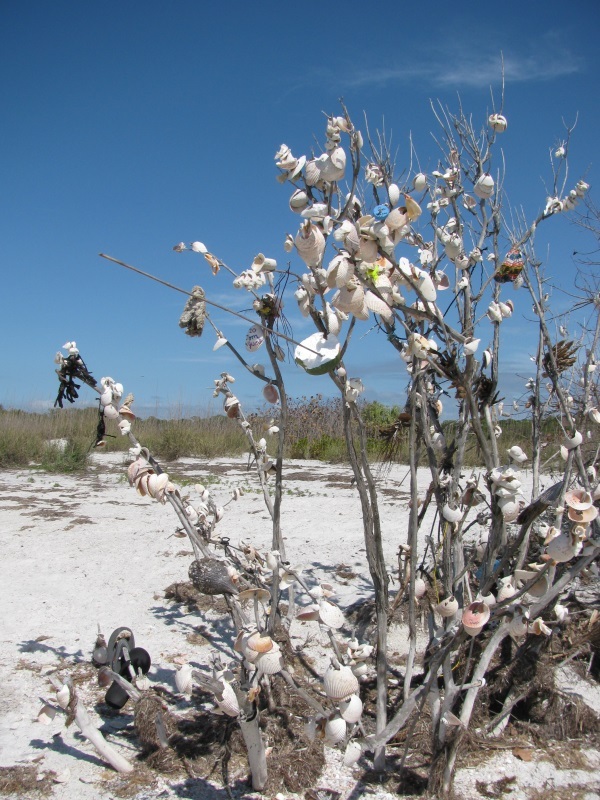 What Is the Caladesi Island Shell Tree? The shell tree is a spontaneous project where people strolling northward on Clearwater Beach have hung shells and various other objects onto a tree on the shores of the barrier island . Along a hard to reach strip of white sand of the Gulf Coast, those on foot or traveling by boat can come across this peculiar phenomenon, standing out from the other natural scenery. Shells are placed in the crags of branches, hung on twigs or dangle from strings. Many of the shells are attached using drift items like nylon rope and ribbons. The tree is usually not visible until you are close by, due to the shells matching the color of the sand. However, once the visitor arrives, it is a fun and unique tourist attraction that few people get to see. 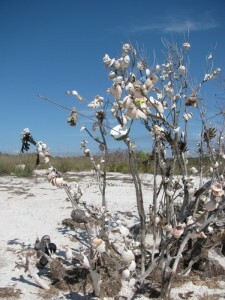 What Is So Secret about the Caladesi Island Shell Tree? The hard-to-reach location of the Shell Tree is what keeps it a secret. Only the adventurous beach hiker or the happenstance boater will come across this “legendary” tree. The tree is located on the southwestern shore of Caladesi Island (secret revealed!) 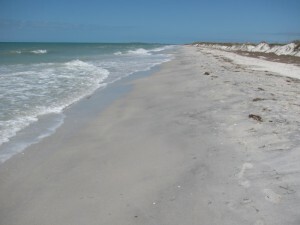 and can only be reached on foot by walking north from Clearwater Beach or south from the public beach on Caladesi Island. The Caladesi Island beach is most easily reached by ferry. For visitors to find the tree by water they will probably need to understand the lay of the land just a bit to know where Caladesi Island becomes Clearwater Beach. The island is now connected to Clearwater Beach due to the impact of a past hurricane. 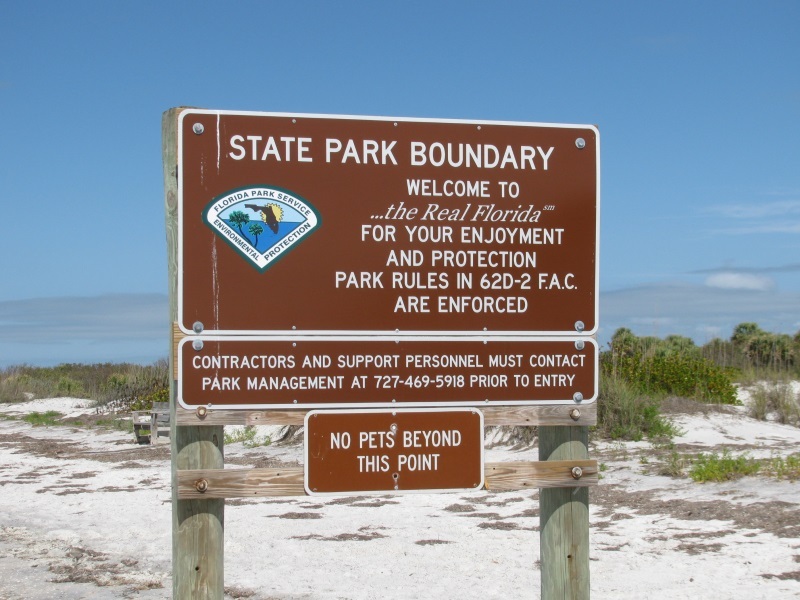 One clue boaters and Clearwater Beach hikers can look for is the sign announcing the boundary of Caladesi Island. 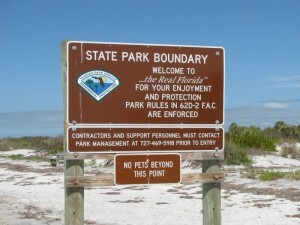 Otherwise, hikers and boaters are on their own. The tree remains a rare sight for good reason. The hikes are long (take water to drink) and the tree isn’t as easy to find as you might think. It blends well with its environment and only stands out prominently at close range. Can I Add to the Secret Shell Tree? The park system has ignored the tree so far, which is nice of them. The tree does not seem to mind, and the project is a unique piece of community art. 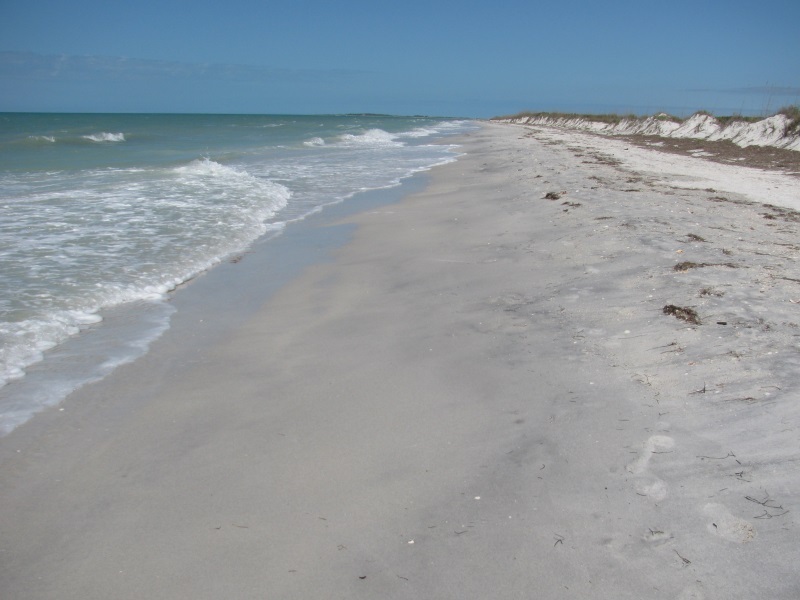 The deserted strip of beach of Caladesi Island and Clearwater Beach shores in question has plenty of shells. Why not choose a unique one and add to the display? 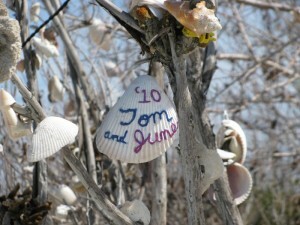 2 Comments on "Secret Caladesi Island Shell Tree"